Boston Lounge Décor provides lounge set-ups that include scoop stools, sofas, ottomans, and acrylic furniture such as coffee tables, highboys and bars. Our acrylic furniture is illuminated using LED lights inside them, which allows us to customize our furniture to enhance your color theme. Combine our furnishings with your logo or message to create the ultimate customization/branding tool. Boston Lounge Décor services Maine, New Hampshire, Vermont, Massachusetts, Rhode Island, Connecticut, New York and New Jersey. We look forward to the opportunity to transform any space into a truly unique and customized lounge designed just for you. 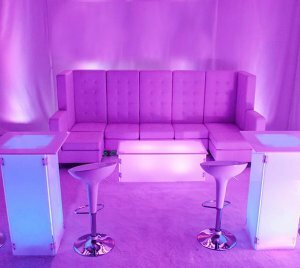 Add a stylish touch to your next event with exquisite lounge and party furniture, presented by Boston Lounge Décor, a renowned name in offering the most elegant and stylish furniture for special events. Comfort, style and uniqueness are the prominent traits of every item that we present to our valued clients for our event furniture rental in Boston showroom. 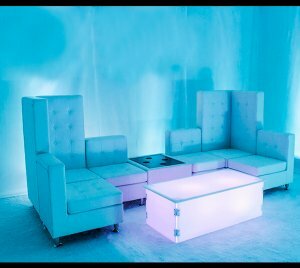 From leather sofas and scoop stools to cocktail tables and bars, we have an extensive selection of lounge and party furniture to enhance the décor and appeal of your event. It is time to move away from the conventional party furniture and add a refreshing twist with incredible variety that we have exclusively selected for you. Present something unique to your guests to make their experience, and your event, worth remembering. Have an event coming up? Just let us know what you need and we will make sure to make your event memorable. 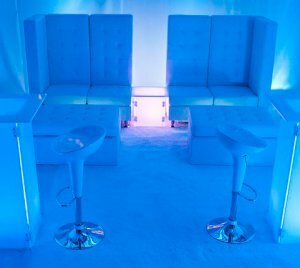 Planning a spectacular event, involves a lot of crucial things, décor and furniture being the most important of them. You want to imprint the minds of your guests with a lasting impression. Make your event stand out from the others. Classic or contemporary, elegant or jazzy, whatever your choice is, we make sure to bring you the finest lounge and party furniture. Whether you wish to bring a touch of sophistication to your event or make your party aloud with creative and unique furniture, we have everything to match your preferences. Aesthetic appeal and unmatched quality, combined so effortlessly with functionality, is how you can describe the amazing selection of furniture at Boston Lounge Décor. We keep regularly updating our collection to bring you the trendiest and stylish items, in sync with the latest fashion. We know how to bring together the best combinations that will bring out the true essence of your event. Let our incredible team of professionals assist you in choosing the most suitable furniture while keeping in mind the theme of your event. So you can impress your guests with the most stylish and incredible lounge setting, which is not only aesthetically appealing but extremely functional as well. Take your pick from our already designed packages or come up with something of your own and fascinate your guests with your amazing decor. With each event, we look forward to surpassing our high standards of excellence and quality by offering the most upscale and exclusive party furniture rental in Boston services to our esteemed clients. Call us today to request an appointment to see our showroom and ask about any of our special packages.